VisAbility Kenya emerged from the Global MINDS@Western Summer Institute 2017, a project funded by Western University, London, Canada. Global MINDS aims to use social innovation approaches to catalyze the development, implementation, mobilization and evaluation of disruptive solutions to reduce the global burden of mental illness and related issues, including suicide. Global MINDS is focused on innovating for low resource settings, both in Africa and in Canada. Through transdisciplinary collaboration and innovative teaching, students from a number of Kenyan universities and from Western university were guided by expert Faculty, and empowered to lead change to make a lasting impact. VisAbility Kenya is focused on solutions to include people with mental illness in society through creating inclusive spaces that support participation of people with mental illness in meaningful activities. We believe that university students play a key role in promoting and advancing this vision for inclusion. We recruit and train student volunteers to lead activity groups (e.g., football/soccer, art, music, crafts etc) for people with and without mental illness in Machakos, Kenya. Student volunteers will be equipped to lead groups within various free community spaces like the Machakos People’s Park, indoor halls, and others. These activities are aimed to promote social interaction among people with and without psychosocial disabilities as well as meaningful participation. The volunteers also facilitate group discussions on specific topics related to mental health to inform and sensitize their community regarding mental illness and wellness and human rights. This project will help university students develop themselves into future leaders and ambassadors for mental and physical wellness. They will be able to use their existing and emerging skills to address the needs in their own communities, and become agents of social change. Tanya Benjamin is a fourth year PhD Candidate in the Department of Health and Rehabilitation Sciences, field of Occupational Science, at Western University. She is committed to addressing social justice issues experienced by marginalized communities within developing regions of the world through utilizing participatory action research (PAR) approaches. Based on her previous practice experiences as an occupational therapist in rural India, Tanya is especially concerned with collaboratively addressing situations of occupational injustices experienced by children and youth with and without disabilities from communities from across the globe. Mumbi is a medical doctor, pursuing her Masters in Psychiatry at the University of Nairobi. She has worked in various clinical facilities, in general practice and mental health hospital settings; all of these experiences have enlighten her on the underserved, ignored demographic of individuals living with mental health problems. It has served as a stimulus and impetus for choosing mental health as her speciality of choice. Mumbi currently leads a monthly mental health support group, is assisting with the creation of an online/social media platform to help inform the public and support mental health advocacy, and is in the process of setting up a mental health chapter in Kenya for the World Medical Association, Junior Doctors Network Association. Her motto is life is about the journey and not the destination. Jessica is a Master of Health Information Science student at Western University. She has experience working as a Mental Health Worker at the Canadian Mental Health Association Middlesex in London, Ontario, Canada. 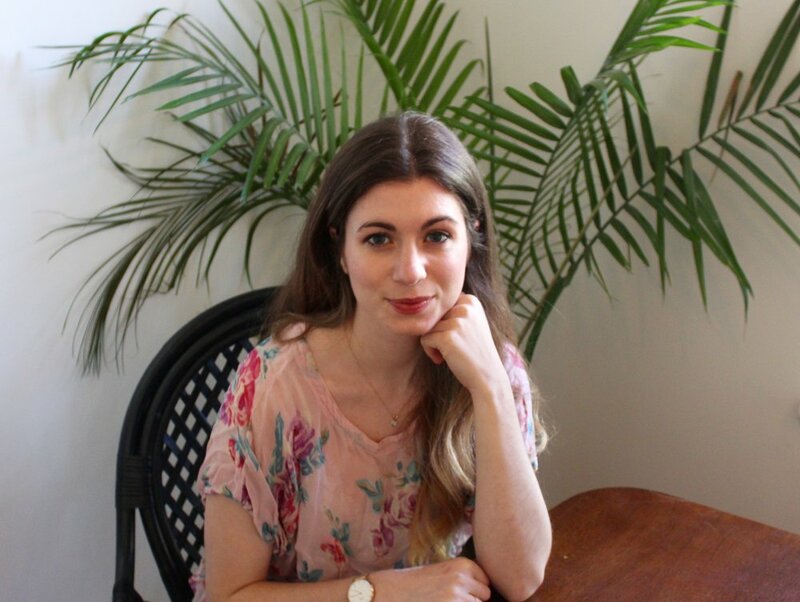 Throughout her academic and professional career, Jessica has developed a strong interest in mental health, wellness promotion, and community development. She believes in the importance of creating inclusive spaces in which the rights, abilities, and potential of all people are upheld and celebrated. Jessica values people’s differences and places a large emphasis on working together to make our global community a better place, as alone we are small, but together we are mighty. We would like to acknowledge the contributions of those who have helped in building the foundation of our initiative! We are always interested in hearing from people who are passionate about mental health and making a difference in their community! Our volunteers play a very important role in keeping VisAbility Kenya programs up and running and helping to create welcoming and inclusive spaces for all community members. We truly value the time and commitment our volunteers make to further our mission of ensuring people with mental illness have equal access to opportunities to live full and meaningful lives. The VisAbility Kenya team strives to create happier, healthier, and united communities, where everyone’s potential is recognized. WHO CAN VOLUNTEER WITH VISABILITY KENYA? At the present time, our core group of volunteers are between the ages of 18 and 25 and/or are students who are enrolled in a post-secondary institution. We are currently recruiting volunteers in or near Machakos County, Kenya, who have an interest in supporting mental health and wellness in the community. WHY BECOME A VOLUNTEER WITH VISABILITY KENYA? There are many reasons why someone may decide to volunteer. Volunteers have the opportunity to gain valuable experience, develop new skills, meet other likeminded people, and expand their personal and professional network of contacts. Volunteers may also wish to give back to their community, help those in need, or support a cause that they are passionate about. Others volunteer because it makes them feel good about themselves and gives them the chance to do something meaningful with their spare time. WHAT IS EXPECTED OF VISABILITY KENYA VOLUNTEERS? Our volunteers are responsible for running various community events, centred on fun and engaging activities, such as music, dance, art, football, and netball. Our events are always changing and based upon the interest of the community, so volunteers are expected to collect feedback from community participants and help make certain that events are meeting the needs and interests of the community. VisAbility Kenya volunteers will also engage in informal discussion about mental health and wellness with community members, providing a platform for people to talk about their experiences with mental disorders, whether it be personal, or the experiences of a friend or loved one. Our volunteers will create a welcoming and supportive environment, and promote health and wellness for all. HOW CAN YOU JOIN THE VISABILITY KENYA MOVEMENT? We would love to hear from you! We are always accepting applications, so click on the button below to apply! Keep up to date with VisAbility Kenya events, news, and more! Make sure you check in regularly to see whats new and exciting, and learn about the different ways in which we are working together to build inclusive communities that support everyone's mental health and wellness. VisAbility Kenya's first ever Volunteer Training!! With excitement we announce that VisAbility Kenya has sucessfully recruited 17 volunteers!!! All volunteers participated in a two-day volunteer training at Machakos, Kenya, which included a time of getting to know one another, some learning, and a lot of fun!! We are so grateful to have these amazing young, passionate, and enthusiastic people join our team in addressing issues related to the inclusion and rights of people with mental illness in Machakos. Stay tuned for more updates on the activities our volunteers have planned for and will be executing very shortly! We are currently recruiting volunteers between the ages of 18-25 to help lead VisAbility Kenya events in the Machakos community. If you live in or near the Machakos and you wish to help make a positive difference and support the community's mental health and wellness, then volunteering with VisAbility Kenya may be for you! Please visit our Volunteer page for more information about our program, and how to apply to become a volunteer. Together we can help make the invisible, visible! We are very excited to announce that Abigael is VisAbility Kenya's new program assistant! Abigael has been practicing nursing for the past eleven years with experience in both hospital and community settings. As a patient's advocate, she is ready to shun any violence against people's rights and uphold a person's dignity at all times. When asked about why she wanted to join the VisAbility Kenya movement, Abigael said that, "mental health is a component if primary health care, and VisAbility Kenya gives me the platform to create a positive impact in the community." Welcome to the team Abigael! 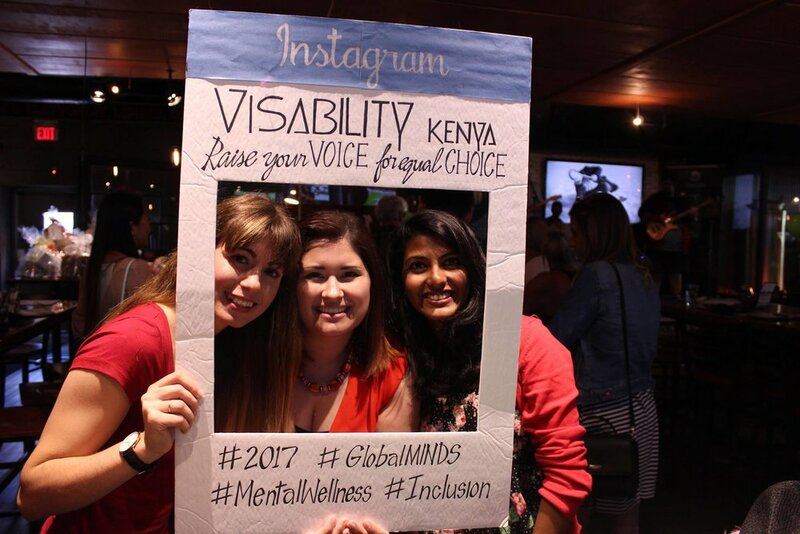 In September 2017, the team members from London, Ontario, Canada hosted a very successful fundraiser for VisAbility Kenya! Thea afternoon was full of great music, provided by local bands, and many family and friends came out to show their support for the program. We want to thank everyone, near and far, who showed their support and demonstrated that everyone, regardless of their mental health status, is worthy of having an equal opportunity to lead a meaningful life!